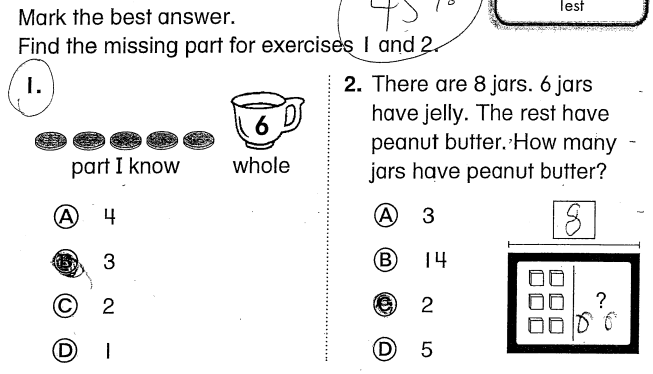 Common Core math questions show why parents are upset about its methods. The Common Core has come under fire by parents who say the new education standards make math needlessly complicated. Schools have adopted new ways of teaching subtraction and multiplication, and parents have been speaking out about how they can no longer help their children with their homework because they don’t understand the methods. Last week, the New York Times’ Motoko Rich wrote about a Louisiana mother who decided to homeschool her kids, who are 7 and 10 years old, because she disagreed with the new math methods. The new standards require a different method of solving math problems—and proving you have the right answer. The Common Core was created in 2009 and is meant to even the playing field by giving every state a universal set of standards to measure learning and comprehension. The program is incentivized with federal grant money that is given to states that implement the standards. The goal is to help students understand that subtraction problems are essentially asking you to measure the distance between two numbers. It’s a method of teaching math that relies more on theory than rote memorization. While this method supports the Common Core’s goal of putting more of an emphasis on critical thinking, it can be a headache for parents who grew up on rote learning and were taught completely different ways of doing math. These parents may have trouble helping their kids with their homework. A “number sentence” is another way of saying “equation,” like 2 + 2 = 4. The new math problems are aimed at getting students thinking about what they’re doing instead of solving equations with no real-life application. If you want to see more Common Core math questions, check out a full test as highlighted by the Washington Post.